The two initial brands recalled were Berry Licious and Berry Obsession. A third brand, Donnybrook, has since been pulled from shelves. THREE more cases of spiked strawberries have emerged affecting a second supplier from the Sunshine Coast. Three punnets of Donnybrook strawberries containing sewing needles were found at Redbank Plains, Tweed Heads and Everton Park. "We are currently working with retailers nationwide to ensure that all Donnybrook stock is removed from sale," Dr Young said. The initial brands affected by the contamination, Berry Licious and Berry Obsession, have already been removed from sale and are no longer in market. Queensland Police Service investigations are continuing. Police are urging anyone who locates strawberries containing the needles to contact Policelink for further advice on 131 444. NSW mother Chantal Faugeras posted to Facebook images of strawberries she says she bought from a Coles supermarket on the NSW mid-north coast on Tuesday. 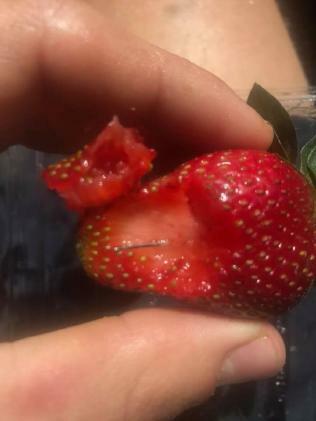 In the post, Ms Faugeras says her 10-year-old discovered a pin embedded in a strawberry while eating a punnet they had bought from the Coles at Wingham. Gladstone woman Angela Stevenson said she found two needles from one punnet of Berry Obsession strawberries in the past week. Cases have been reported in Qld, NSW and Victoria. She said the punnets were both Delightful Strawberries branded product. Coles said they had been in contact with Ms Faugeras. It was the first time needles have been discovered in strawberries in NSW after four contaminated punnets were discovered in Queensland and NSW in recent days. The Queensland Strawberry Growers Association believes a disgruntled farm worker may be responsible but police say they are investigating all aspects of the strawberry transit process. It's unclear if Ms Faugeras' discovery is related to the earlier incidents or a potential copycat. 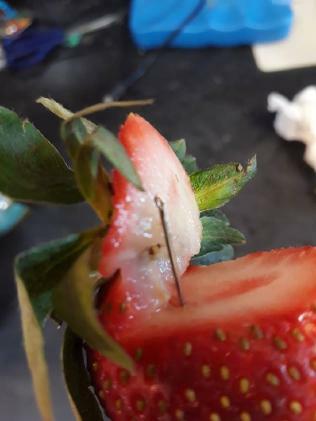 On Thursday Queensland police announced they were investigating a suspected copycat incident after a metal rod was discovered on top of strawberries inside a plastic punnet at a Coles in Gatton. AAP is seeking confirmation from NSW police whether the latest discovery is under investigation. 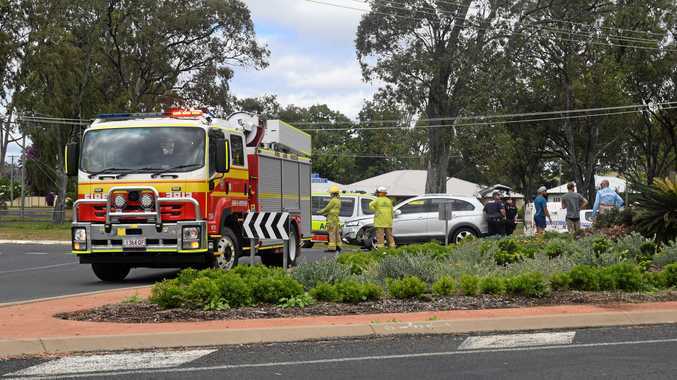 Consumers across all three states have been urged to chop up or throw out berries purchased in the past week as police seek a culprit for the sabotage. 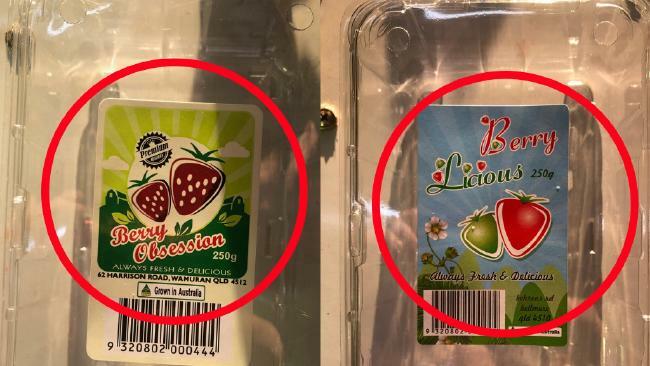 The Warmuran farm which supplied the berries under the brand names Berry Obsession and Berry Licious, was inspected by Queensland police and Australian Border Force officers on Thursday. It's unclear if the Delightful Strawberries brand comes from the same farm or a different region.